A number of menstrual cycle problems arise in a woman's life, such as strong menstrual pain, heavy menstrual flow, delayed menstruation, bleeding between menstrual periods, menstruation that "jumps" a month or more. If that's the case, you should see your gynecologist for a consultation. He will recommend a treatment. Ask him for advice about a natural treatment also. Each woman has menstrual cycle problems at certain times in her life. The menstrual cycle is a good indicator of health status of every woman, so most harmful factors interfere with the sensitive body balance of female hormones, causing various menstrual disorders. Weight loss treatments, inadequate or incorrect diets, smoking, stress, toxic factors, anxiety and other psychiatric disorders affects the menstrual cycle. To restore the hormonal balance you should first eliminate all these factors. Remember that you are not alone. 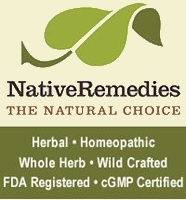 There are herbal remedies for menstrual cycle problems that will aide you to restore the balance. Lady's mantle (Alchemilla vulgaris) for menorrhagia (heavy menstrual flow). This plant, with a very smooth and delicate look, has a remarkable astringent effect that makes quickly disappear excessive menstrual flow, simultaneously producing an exceptional toning of all areas of the woman reproductive organs. 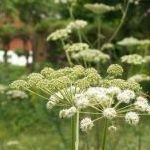 Due to its astringent properties it acts on the uterine muscle and on the vascular wall and reduces very much the bleeding. Take 1 g of powder, 4 times daily. Keep the freshly grinded powder under the tongue for 10-15 minutes, then swallow with a little water. Don't worry about its strong astringent taste. The effect is in all benefactor! 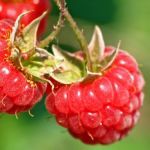 Red raspberries contain high levels of vitamins and minerals, including vitamins B, C, folic acid, magnesium, copper and iron. These are important not only to maintain normal body functions but also to regulate the menstrual cycle by balancing blood flow to reproductive organs. Menstrual disorders can be stabilized in a few weeks with 3-4 cups of tea drank daily. Raspberry shoots extracts are recommended in premenstrual disorders (breast pain and muscle tension, dysmenorrhea - severe uterine pain during menstruation) and also in metrorrhagia (uterine bleeding at irregular intervals), menorrhagia (heavy menstrual flow) or amenorrhea (absence of a menstrual period). Yarrow regulates periods and is helpful in dysmenorrhea and menorrhagia. A herb used for many women problems, yarrow has helped many women with menstrual cycle problems. For girls with irregular menstruation, Yarrow tea will greatly help regulate the menstruation cycle.Yarrow has analgesic properties and may be used for dysmenorrhea (menstrual pain). Being a good haemostatic, Yarrow tea is indicated in menstrual bleeding or bleeding of the vaginal mucosa and hypermenorrhea, also known as menorrhagia (long or heavy menstrual flow).